This is my first of many posts on this site. I have been in this program for 1 year and working on 2 years. I came to this program with my friends Andrew, Jesse and Nate. I am hopeful that a lot more people will join us and help spread tolerance! Andrew shares with us wisdom and advice on bullying! Thank you for sharing with us your personal experience with bullying and the wisdom you’ve acquired through those experiences. Andrew lends great advice for how to deal with bullying and general life advice. 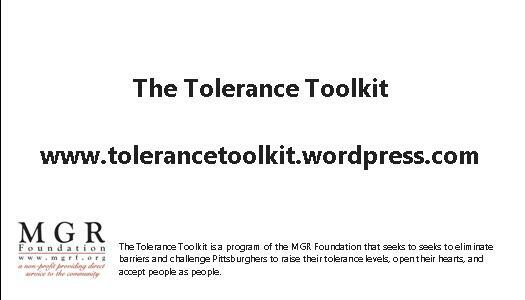 Here at Tolerance Toolkit, we are working on putting together a DVD of the videos that discuss tolerance and promote conversations about how to deal with bullying and stereotyping. 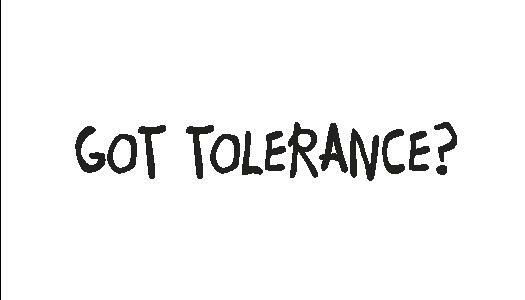 Along with the DVD videos, there will be a Tolerance Toolkit game that helps to teach about tolerance and allow its players to decide what is the right thing to do. Stay tuned for more videos to be uploaded and more news coming up! What do YOU think about tolerance? Create a video, create a piece of artwork, or write an essay about YOU. What makes you unique? What are your talents? Where did you grow up? What was it like growing up? What do you like to do? Sports, activities, arts? Where do you live? Who do you live with? What do you want to accomplish in the future? What do you want to be when you grow up?